Who knew? Well, I didn't. A few months ago I went fall/winter shoe shopping with my mom, and wandered into a Naturalizer store for the first time. She liked that in addition to half sizes, which most shoemakers offer these days, Naturalizer offers different shoe widths (narrow, medium, wide and extra wide), and calf widths for boots. 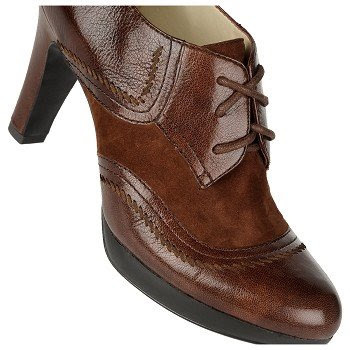 I also took the opportunity to try out a few pairs of boots and flats, and to my great surprise, the shoes are extremely comfortable yet not at the expense of style. Mom picked up a pair of ankle boots, while I decided to wait for a sale before I tried them out. The best part is that they are super comfy thanks to the N5 Comfort design. 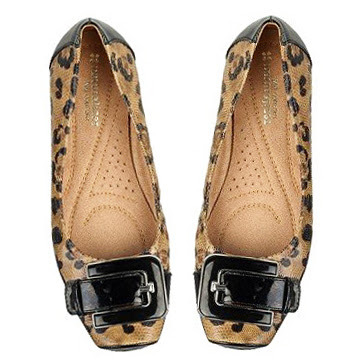 I bet I can go speed walking in these flats...well I shouldn't. Years ago I was rear-ended on highway by an SUV travelling at 120KM...imagine the BANG! Anyhow, after months of physiotherapy, ever since, I still often feel back, shoulder and neck pains. Therefore, I have been wearing comfortable shoes (e.g. Ecco) and sometimes even had to give up styles. And now I have Naturalizer! I know their shoes are not super fashionable or edgy, but for me they are just right. 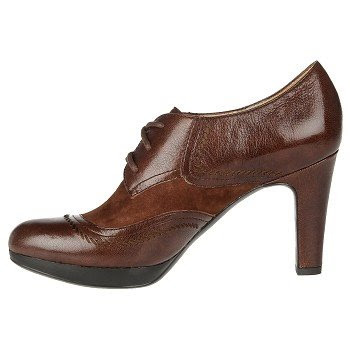 I also picked up a pair of these Oxford heels...I guess certain style never goes out of date, right? Naturalizer is having a 50% winter sale now with an additional 20% off. Online order is a breeze, and shipping rate is very reasonable at $5 for 1st pair and additional $2 per pair from there. While I was in shower West Elm called to inform me that the Niche Nightstands I ordered are in so I can go pick them up...so excited. Will post some pictures later.